What is the difference between an agency that makes over a million dollars per year and one that barely breaks even? No, it’s not luck. It’s not the quality of their work either. I’m sure you have seen agencies offer a mediocre service and still, somehow, make a lot of money. It’s so frustrating to see that, yet it happens all the time. Do you know how the million-dollar agencies get to make that kind of money? I will tell you how: they know how to get leads. They don’t just know how to get leads, they know how to get lots of them. The truth is, it’s not that hard to do so; if you know how to do it. In this article, I will show you how any agency owner like you can create a lead pipeline that will help you bring more leads to close more consulting proposals. Getting the right leads start by having a deep understanding of the kind of customers you want to attract. This first step is often overlooked but it will make things much simpler later on. If you are a web designer, for instance, you can’t expect to get any leads if you don’t know who needs your services to begin with. 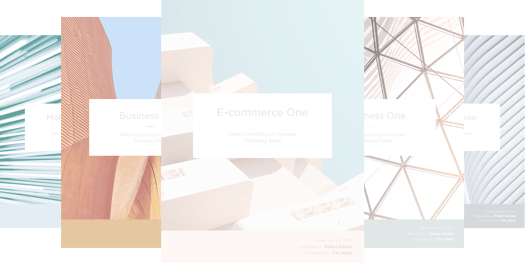 Type of company: B2B or B2C, E-commerce, services or SaaS, etc. Size: 1-10, 11-25, 25-50, etc. Industry they are in: business consulting, retail, legal, healthcare, etc. Position of the person to contact: CxO, VP, director, manager, etc. Revenue per year: $10k-$25k, $25k-$50k, etc. By getting all this information you will be able to see much better what type of marketing tactic you will need to implement later. Creating a clear persona like Sally will help you create a tailored lead generation campaign for your consulting business. This research can be done on your current and previous customers, which is the most convenient, or on the kind of customers you’d like to attract, which is hardest to implement since you won’t be able to interview and talk to these people. You shouldn’t aim for wide (i.e. “I’ll do business with anyone who pays me”), rather you should aim deep: focus on the two or three most profitable types of customers you’ve done business with and research them. If you can, talk to them: pick up the phone, call them, and interview them. Ask them about their business, what they need, how they look for solutions, why they chose you, and more. You don’t want to sell them anything, you want to get to know their kind of business, so you can get more of them. For example, if you have done business with companies that are needed a custom-made WordPress theme, sell industrial machinery, and have 10-25 employees, there may be more of them somewhere else who also need your services. You may not find other businesses with the exact same profile; there may be businesses that have more employees and have higher revenues and still need your services. The idea is to know the overall characteristics of the business that work with you so you can know where to find them with your marketing. Once you know who your customers are, you then need to know where they hang out. Once you do, you’ll only have to go there and hang out with them. Easy, right? First of all, let’s make something clear: when I mean “hang out”, I’m referring to a place, online or offline, where a group of people that share some kind of passion, need or pain get together to meet and discuss solutions. If you actually offer the kind of solutions they need, once you go there, you’ll be able to find all sorts of leads that will help you grow your agency. To get started, make a list of all the places the kind of client you are trying to attract hangs out. This can go from a social media channel to an event. If you don’t know this, ask them or research to see where this kind of client gets together with other companies like theirs. The hard part isn’t finding your leads, however. The key lies in what you do once you know where you can find your leads. Networking is a key part of a consulting lead generation campaign, as it can help you get your name known in your industry, even if it’s a local or regional event. Once you get to know the place where your leads hang out, you need to hang out as well. How do you do so? By showing up and letting everyone know you are there. If this sounds like the typical creepy sales guy shaking everyone’s hands and throwing business cards to their faces, don’t worry, because it’s not what I’m talking about. Let me explain what I mean. Let’s say you found your customers hang out at an industry conference. One great way to let everyone know about you would be to sponsor that conference. That’s just one option. You can also participate in its organization, give a talk, or put a booth. For this particular example, all of these ideas work fine. You could also grab a list of all the companies that have a booth, and see if you find someone who you might be able to help. See who the speakers of the event are. If they are potential customers, talk to them either before or after the conference. You could schedule some time for a coffee or lunch together. But one activity that we can’t forget and which is directly tied to the idea of “hanging out” is networking. Since your leads are made of people (at least that’s what I hope so), you can’t leave the human factor aside. 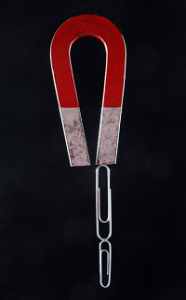 Get to personally know your leads, at least in the case of a conference. Things can change when your customers hang out in an online community, but the main idea still holds true: create a personal relationship with your leads every time you can. The same idea can be applied to other channels, like online communities and groups, blogs, and forums. Once you know where they hang out, participate and make sure people know you. In this case, however, it changes the way you get people to know you. For example, if you know your leads hang out in Facebook groups, you could participate by asking or answering questions, offering yourself for help, and sharing insights, tips or valuable content. Once you have engaged with the audience long enough (usually a few months), the final way to get people to become leads is by offering something for free, like an ebook or webinar, and making them sign up through a landing page, something which I will explain later in this article. Some other ideas could be to try Facebook Ads, create a campaign on a display network to target the sites your leads they visit or manually add banners on those sites, guest post on blogs they read, sponsor or participate in a podcast, etc. When it comes to attracting leads online, there’s no better way than to use content. The higher its quality, the better it is for your business. The kind of online content you can create depends on how you are thinking about hanging out with your leads and customers. If you are planning on participating in an online forum, then you may need a few articles that solve common questions and problems. If you want people to give you their name, email address and phone number, create a webinar, white paper, or ebook. If you want to get people to know you and share your content, create videos or infographics. 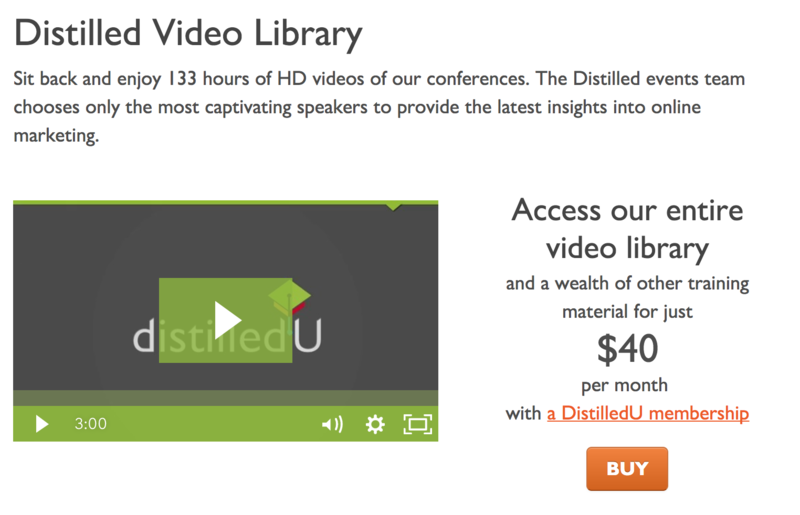 Distilled is a British online marketing agency that provides a video library. Even though it’s paid, the idea is to provide high-quality content to their leads and clients. Online content is, in my opinion, the best way to get leads these days. That’s why I highly recommend you take the most time to create high-quality content for your company and share it with your audience. If you are going to use Google Adwords, display advertising, or banners for sponsoring, you’ll have to have ads and banners ready to use. If you don’t have a designer in your company that can help you, you can always hire one using a marketplace like Upwork or PeoplePerHour. Another option is to do it yourself using a professional tool like Illustrator, or a more amateurish yet high-quality tool, like Canva. I’ve personally used the latter, and it works great for banners. Some companies that offer design services for a flat-fee are DesignPickle and PugShopDesign. Design Picke creates ads and banners for companies for a flat fee. It can be convenient if you are going to be using ads as your main lead generation strategy. 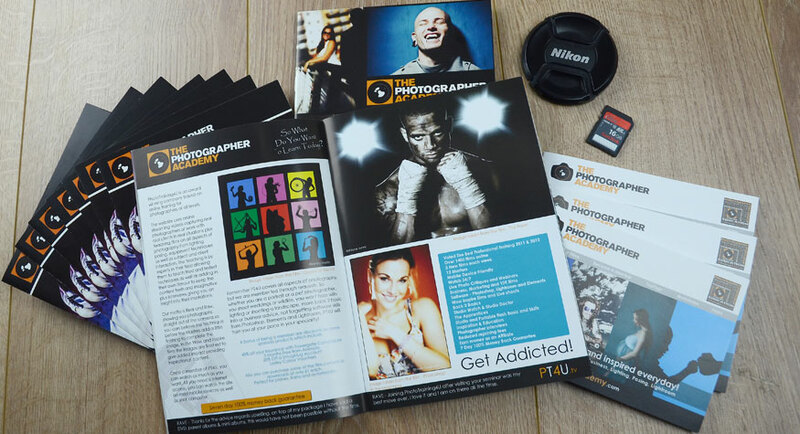 Brochures and other marketing collaterals as the ones shown in this pictures can help you promote your business offline. These types of material work great if you are going to meet with your customers on events or conferences, or if your customers are old-school and don’t use Internet that much (which is less and less common these days). When you do business offline, the sales process would go like this: you meet someone at a conference who might be interested in doing business with you. Because they like you, they give you their business card and a promise of a future talk. Then, you follow up with a call, and from there you start the sales process as usual. But when the process is online, you need a place where you can get this process started. Landing pages are that bridge that makes people become leads. As a consequence, you need to have at least one of them to attract the leads your business needs. The process is the same as it is offline, what changes is the dynamics of the relationship. Instead of handing them a business card, you hand them a piece of content they can find interesting, like an ebook, or even a webinar, in exchange for their phone and email address. Then, you have two options: you can keep sending them high-quality content until they contact you back, or you can follow up with a call right away. It depends on how you define when a lead is “ready” or not. By creating a landing page, you will narrow the number of leads you get, but that’s generally a good thing (the only case when it’s not is when you optimize your landing page badly and scare people away). The truth is, even if you do everything right, most people won’t convert. That’s how it works. The key lies on those who do. Those are the people whom you work to attract, because they are interested in what you have to offer, and have given you the permission to contact them. LeadPages, one of the best landing page builders, offers dozens of free and premium templates for your lead generation campaigns, just as you can see in this image. To get started with your landing pages, pick one of the industry’s standard landing page creation tools, like LeadPages (my personal favorite), Instapage, or ClickFunnels. They all offer pre-made optimized templates which you only need to edit to fit your business and start growing your business. Getting leads for your business doesn’t have to be hard. If you get a clear idea of whom you are trying to attract, where they hang out, and start a conversation about their problems and the solutions you can offer them, you will get all the leads you need to grow. Make sure to offer them something they need. Solve them a problem. Give without ask. That will make people come to you for help. That’s what will make your company get leads. And that’s what will make your agency grow. Ivan Kreimer is a freelance content writer that helps SaaS business increase their traffic, leads, and sales. Previously, he worked as an online marketing consultant helping both small and large companies drive more traffic and revenue. You can follow him on Twitter or Facebook.